Diplomat House Dar es Salaam, Tanzania. Diplomat House is a modern, well planned commercial office building at an excellent location in the Centre of Dar-es-salaam, within walking distance to the main Port and the Central Business District. 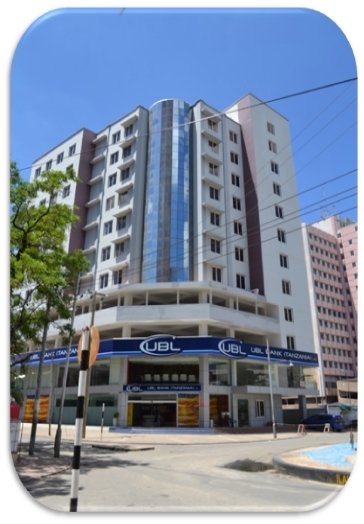 Diplomat House is pleased to have clients like UBL Bank, Local Authorities Pension Fund, Tanzania Bureau of Standards and G.M Dewji amongst others as tenants.